James D. Watson won the 1962 Nobel Prize in physiology and medicine along with Francis Crick and Maurice Wilkins for discovering the structure of DNA, or deoxyribonucleic acid, which is the carrier of genetic information at the molecular level. Watson and Crick had worked as a team since meeting in the early 1950s, and their research ranks as a fundamental advance in molecular biology. More than thirty years later, Watson became the director of the Human Genome Project, an enterprise devoted to a difficult goal: the description of every human gene, the total of which may number up to one hundred thousand. This is a project that would not be possible without Watson's groundbreaking work on DNA. 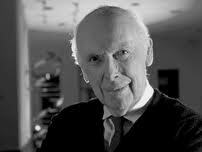 James Dewey Watson was born in Chicago, Illinois, on April 6, 1928, to James Dewey and Jean (Mitchell) Watson. He was educated in the Chicago public schools, and during his adolescence became one of the original Quiz Kids on the radio show of the same name. Shortly after this experience in 1943, Watson entered the University of Chicago at the age of fifteen. Watson graduated in 1946, but stayed on at Chicago for a bachelor's degree in zoology, which he attained in 1947. During his undergraduate years Watson studied neither genetics nor biochemistry--his primary interest was in the field of ornithology; in 1946 he spent a summer working on advanced ornithology at the University of Michigan's summer research station at Douglas Lake. During his undergraduate career at Chicago, Watson had been instructed by the well-known population geneticist Sewall Wright, but he did not become interested in the field of genetics until he read Erwin Schrödinger' s influential book What is Life"; it was then, Horace Judson reports in The Eighth Day of Creation: Makers of the Revolution in Biology, that Watson became interested in "finding out the secret of the gene." Work with the "Phage Group"
Watson enrolled at Indiana University to perform graduate work in 1947. Indiana had several remarkable geneticists who could have been important to Watson's intellectual development, but he was drawn to the university by the presence of the Nobel laureate Hermann Joseph Muller, who had demonstrated twenty years earlier that X rays cause mutation. Nonetheless, Watson chose to work under the direction of the Italian biologist Salvador Edward Luria, and it was under Luria that he began his doctoral research in 1948. Watson's thesis was on the effect of X rays on the rate of phage lysis (a phage, or bacteriophage, is a bacterial virus). The biologist Max Delbrück and Luria--as well as a number of others who formed what was to be known as "the phage group"--had demonstrated that phages could exist in a number of mutant forms. A year earlier Luria and Delbruck had published one of the landmark papers in phage genetics, in which they established that one of the characteristics of phages is that they can exist in different genetic states so that the lysis (or bursting) of bacterial host cells can take place at different rates. Watson's Ph.D. degree was received in 1950, shortly after his twenty-second birthday. Watson was next awarded a National Research Council fellowship grant to investigate the molecular structure of proteins in Copenhagen, Denmark. While Watson was studying enzyme structure in Europe, where techniques crucial to the study of macromolecules were being developed, he was also attending conferences and meeting colleagues. From 1951 to 1953, Watson held a research fellowship under the support of the National Foundation for Infantile Paralysis at the Cavendish Laboratory in Cambridge, England. Those two years are described in detail in Watson's 1965 book, The Double Helix: A Personal Account of the Discovery of the Structure of DNA. (An autobiographical work, The Double Helix describes the events--both personal and professional--that led to the discovery of DNA.) Watson was to work at the Cavendish under the direction of Max Perutz, who was engaged in the X-ray crystallography of proteins. However, he soon found himself engaged in discussions with Crick on the structure of DNA. Crick was twelve years older than Watson and, at the time, a graduate student studying protein structure. Intermittently over the next two years, Watson and Crick theorized about DNA and worked on their model of DNA structure, eventually arriving at the correct structure by recognizing the importance of X-ray diffraction photographs produced by Rosalind Franklin at King's College, London. Both were certain that the answer lay in model-building, and Watson was particularly impressed by Nobel laureate Linus Pauling' s use of model-building in determining the alpha-helix structure of protein. Using data published by Austrian-born American biochemist Erwin Chargaff on the symmetry between the four constituent nucleotides (or "bases") of DNA molecules, they concluded that the building blocks had to be arranged in pairs. After a great deal of experimentation with their models, they found that the double helix structure corresponded to the empirical data produced by Wilkins, Franklin, and their colleagues. Watson and Crick published their theoretical paper in the journal Nature in 1953 (with Watson's name appearing first due to a coin toss), and their conclusions were supported by the experimental evidence simultaneously published by Wilkins, Franklin, and Raymond Goss. Wilkins shared the Nobel Prize with Watson and Crick in 1962. After the completion of his research fellowship at Cambridge, Watson spent the summer of 1953 at Cold Spring Harbor, New York, where Delbruck had gathered an active group of investigators working in the new area of molecular biology. Watson then became a research fellow in biology at the California Institute of Technology, working with Delbruck and his colleagues on problems in phage genetics. In 1955, he joined the biology department at Harvard and remained on the faculty until 1976. While at Harvard, Watson wrote The Molecular Biology of the Gene (1965), the first widely used university textbook on molecular biology. This text has gone through seven editions, and now exists in two large volumes as a comprehensive treatise of the field. In 1968, Watson became director of Cold Spring Harbor, carrying out his duties there while maintaining his position at Harvard. He gave up his faculty appointment at the university in 1976, however, and assumed full-time leadership of Cold Spring Harbor. With John Tooze and David Kurtz, Watson wrote The Molecular Biology of the Cell, originally published in 1983 and now in its third edition. In 1989, Watson was appointed the director of the Human Genome Project of the National Institutes of Health, but after less than two years he resigned in protest over policy differences in the operation of this massive project. He continues to speak out on various issues concerning scientific research and is a strong presence concerning federal policies in supporting research. In addition to sharing the Nobel Prize, Watson has received numerous honorary degrees from institutions, including one from the University of Chicago, which was awarded in 1961, when Watson was still in his early thirties. He was also awarded the Presidential Medal of Freedom in 1977 by President Jimmy Carter. In 1968, Watson married Elizabeth Lewis. They have two children, Rufus Robert and Duncan James. Watson, as his book The Double Helix confirms, has never avoided controversy. His candor about his colleagues and his combativeness in public forums have been noted by critics. On the other hand, his scientific brilliance is attested to by Crick, Delbruck, Luria, and others. The importance of his role in the DNA discovery has been well supported by Gunther Stent--a member of the Delbruck phage group--in an essay that discounts many of Watson's critics through well-reasoned arguments. Most of Watson's professional life has been spent as a professor, research administrator, and public policy spokesman for research. More than any other location in Watson's professional life, Cold Spring Harbor (where he is still director) has been the most congenial in developing his abilities as a scientific catalyst for others. His work there has primarily been to facilitate and encourage the research of other scientists.